Most people throw their old tires without taking into consideration the things they can make of them. Tires have many uses. 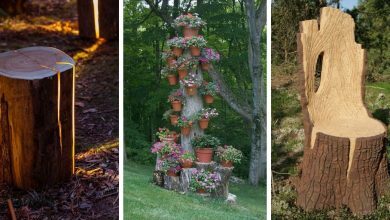 Instead of throwing them away you can use them to decorate your garden. 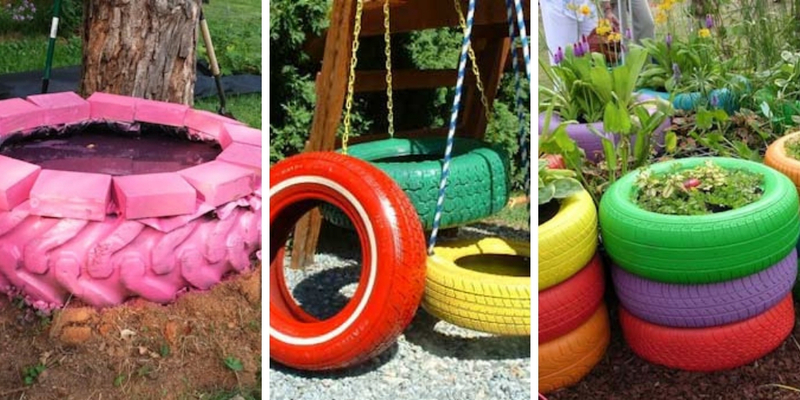 In this post, we will display 8 DIY tire garden ideas that will inspire you to make use of your old tires. 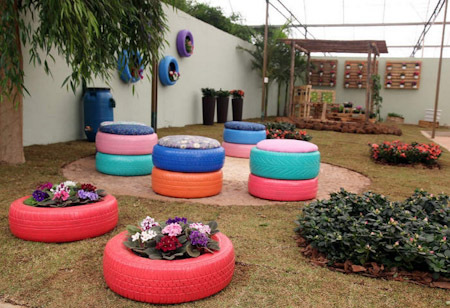 These tire garden ideas are very useful. Go ahead and take a look at them. 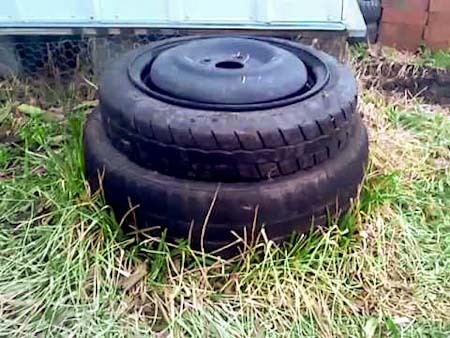 This is one if the most useful DIY tire garden ideas. Tires are very sturdy. They can last for decades. Thus, they are perfect materials to make a swing. 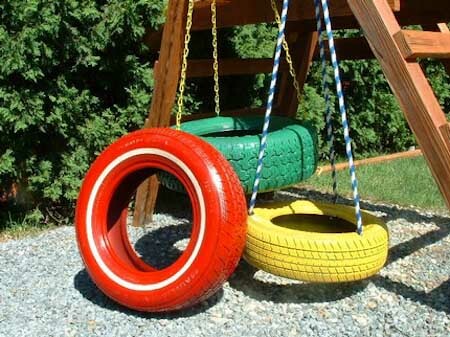 A tire swing will decorate your garden as well as help your children have a pleasant and entertaining time outdoor. It is recommended that you paint the tires for aesthetic reasons. This is one of the best DIY tire garden ideas. 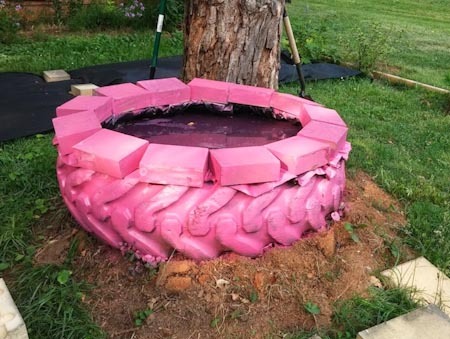 You can use an old tire to make a compost bin. However, this idea is applicable only if you live in a cool climate area where temperature does not go above 90 F (32 C). 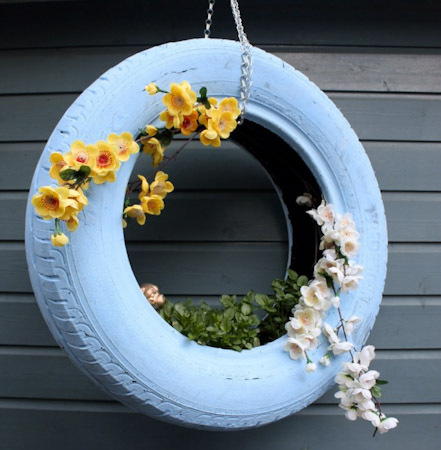 This is one of the most popular DIY tire garden ideas. 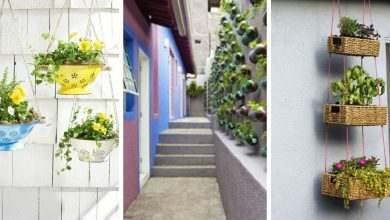 It consists of transforming a tire into a vertical planter by painting it, implanting it and then hanging it which is quite easy and does not require much time. 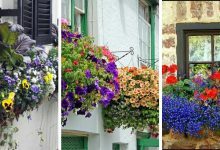 There are a lot of plants you can plant in a vertical tire planter, but, flowers are the most common ones. Having a pond in your garden is amazing. 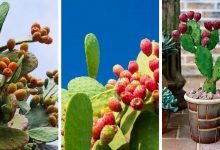 It attracts wildlife and it adds beauty to your garden. 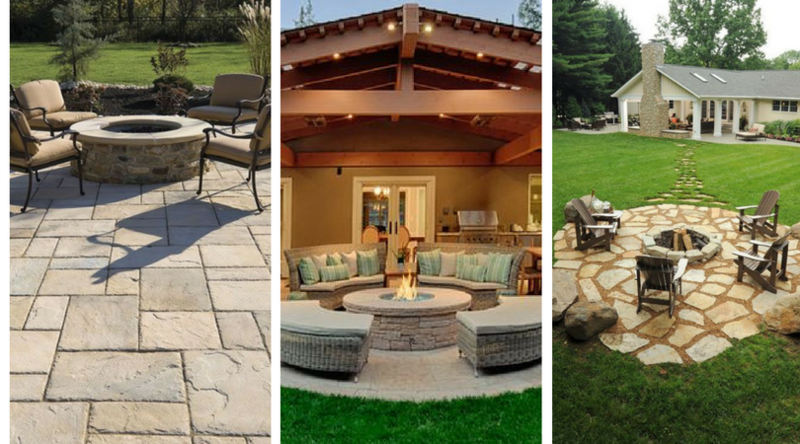 Ponds are ornamental and you can easily and inexpensively install one in your garden using a big tire. All you need to do is to paint the tire and seal its bottom with a water-resistant cover. 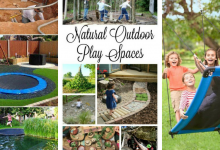 Tire ponds are sturdy and they are suitable for all aquatic lives including plants and fishes. 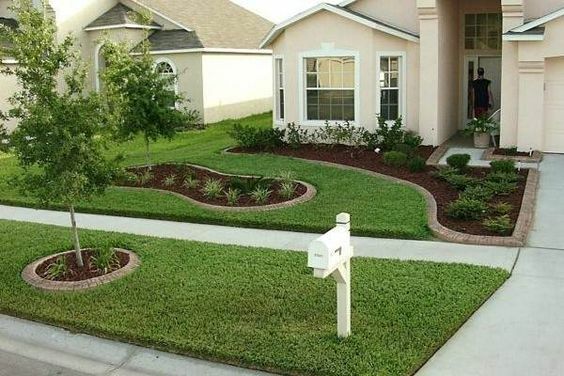 For more pond ideas, take a look at this post. 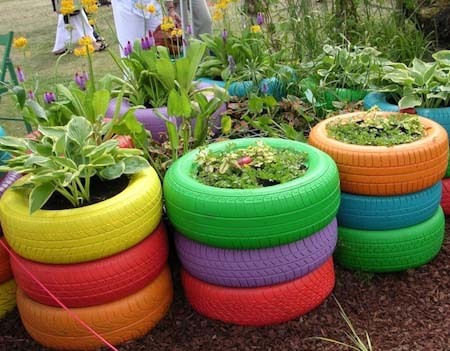 If you want to have a colorful and delightful garden, you should consider using tires as planters. 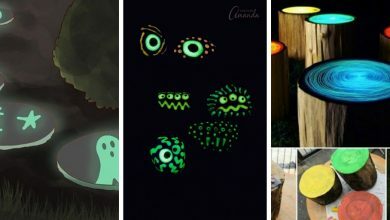 You can paint them in different colors and implant them with decorative plants. 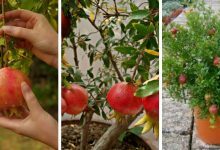 It is advisable that you don’t plant them edible plants because they contain toxic elements. If you have pets, you will love this DIY garden tire idea. 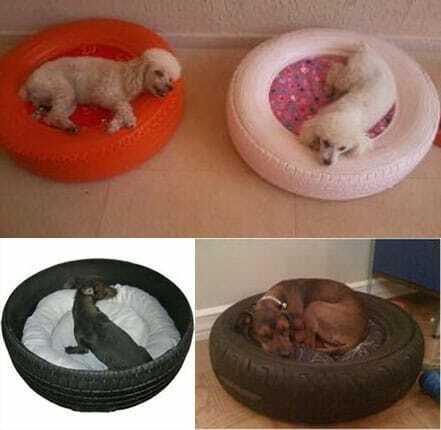 It consists of turning a tire into a cozy pet bed. 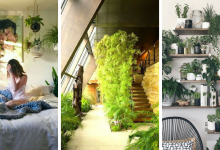 You can paint the bed to make it more attractive so you can keep it indoors. Make sure you should the right tire size for your pet to make it comfortable. 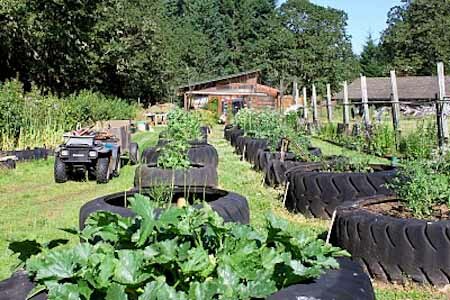 Tires make perfect raised beds. 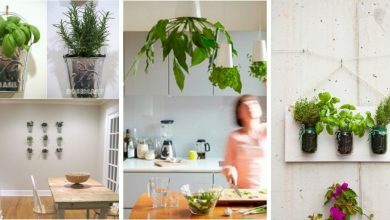 They are big enough to hold many plants as well as sturdy enough to last for years. 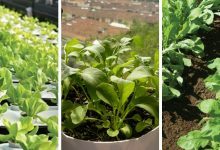 Tire raised beds are perfect planters because they heat up fast providing your plants with the warmth they need. 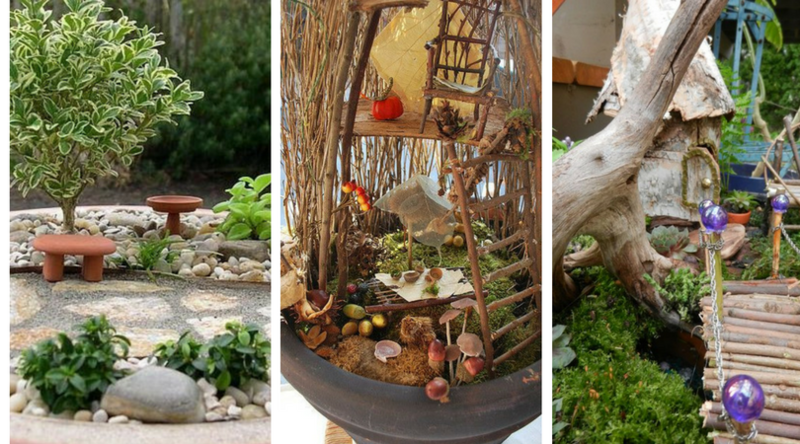 These are the best DIY tire garden ideas. 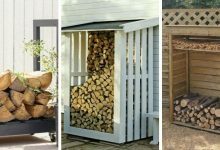 These idea are very useful and easy to duplicate. You will only need to devote a few hours to them. Enjoy!